It comes as the United Kingdom prepares to table a draft resolution at the UN demanding a ceasefire and roadmap to peace. 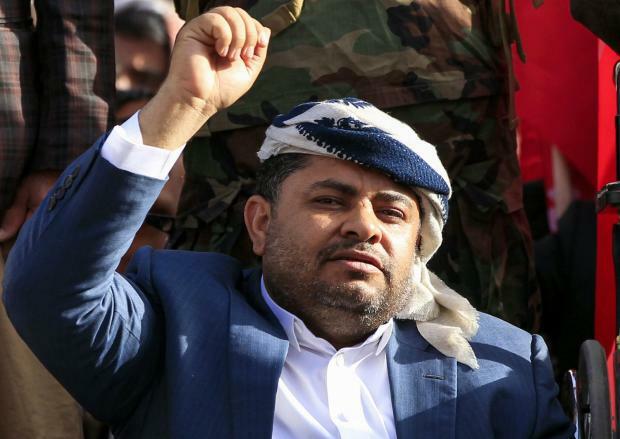 “After our contacts with the UN envoy and his request to stop drone and missile strikes … We announce our initiative … to halt missile and drone strikes on the countries of aggression,” Mohammed Ali al-Houthi, a top rebel leader, said in a statement. Houthi, head of the rebels’ Higher Revolutionary Committee, tweeted that he hoped his group announce “readiness to suspend and halt all military operations”. He called on “all [Houthi] official Yemeni sides to issue directives to end launching missiles and drones against aggression countries… in order to deprive them of any reason to continue their aggression and siege”. The Houthis, he said, should be ready “to freeze and stop all military operations on all fronts” to achieve “a just and honourable peace”. The British initiative comes after talks Hunt held with Saudi Crown Prince Mohammed bin Salman, who apparently “threw a fit” when told about the planned resolution. Pro-government forces’ assault on Hodeidah has intensified attention on the conflict, as 70 percent of all Yemen’s food and humanitarian aid passes through the Red Sea city’s port.